Rabi-Ribi is a 2D exploration platformer that focuses on non-linear gameplay. You play as our protagonist Erina, who focuses on close-quarters combat. Ribbon the fairy is the ranged attacker who follows Erina’s lead, indirectly controlled by the player. Both Erina's and Ribbon’s abilities can be improved by learning new skills and attacks through collecting items and upgrades that are spread throughout the world. What trinkets and skills to pick up is up to the player; dare you challenge Hard Mode without any items? Can you survive the bullet-hell boss battles? Can Erina turn back to being a bunny?! 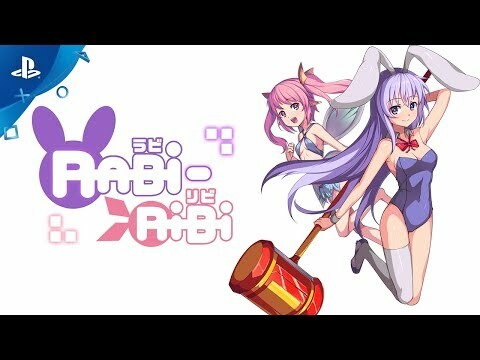 With over 40 boss battles, over 50 upgrades to your moveset and secret game modes, Rabi-Ribi is the most adorably dangerous game you'll experience in a long time! Why is there a bunny girl…?